Hammerheads are so called because of the unusual structure of their heads, which extend laterally into hammer-like projections called 'Cephalofoils'. The positioning of the eyes hence, gives the hammerhead a binocular, 360 degrees vision. 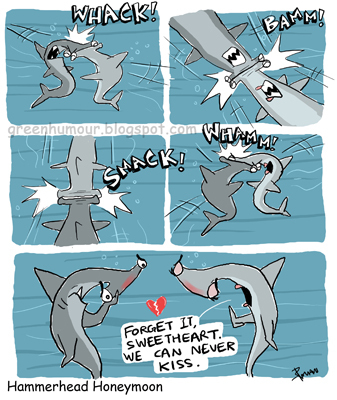 The populations of Hammerhead sharks have declines steeply in the recent years owing to shark finning. In March 2013, the hammerheads were added to Appendix 2 of CITES along with the Porbeagle and the Oceanic Whitetip, bringing the fishing and commerce of these species under regulation.